An IWA exclusive!. This bucket features a straight-edge top, 2 sturdy handles with rings, and an oversized design to fit your finest bottle of bubbly. Features a brushed satin finish inside and out. 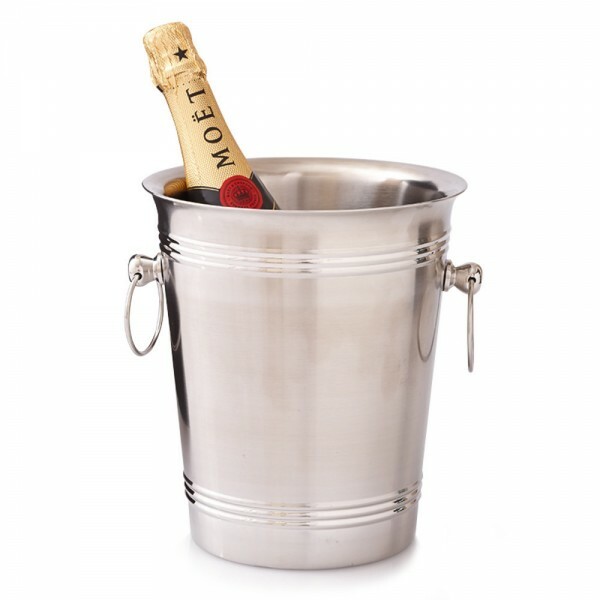 Our extra-thick 18-10 stainless steel champagne bucket is double-walled with a satin finish and polished highlights.